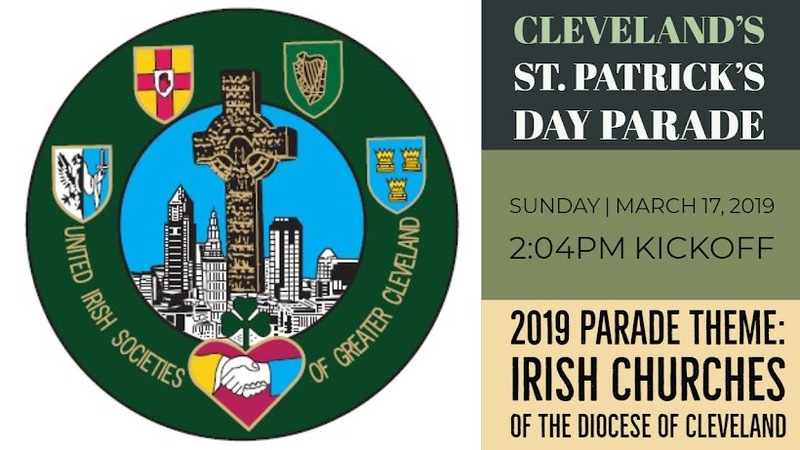 Cleveland's St. Patrick's Day Parade: Watch the 2019 Parade! Did you miss the Parade this year? Did you march in the Parade and want to see how your unit looked? The 2019 Parade is available below, or you can view it directly on YouTube. If you prefer to watch a traditional broadcast of the Parade, TV20 will broadcast the Parade from Wednesday, March 20 through Tuesday, March 26 at 1:00pm, 7:00pm and 2:00am. TV20 is available on Spectrum Cable channel 1020 (Cleveland only) and AT&T U-Verse channel 99 (northeast Ohio). If you would like to purchase a copy of the 2019 Parade, please contact TV20 at 216 664-3571 or 216-420-8621.